After years of working as a wedding photographer, Shelbye Gingerich knew it was time for a change, but she wasn’t sure what. 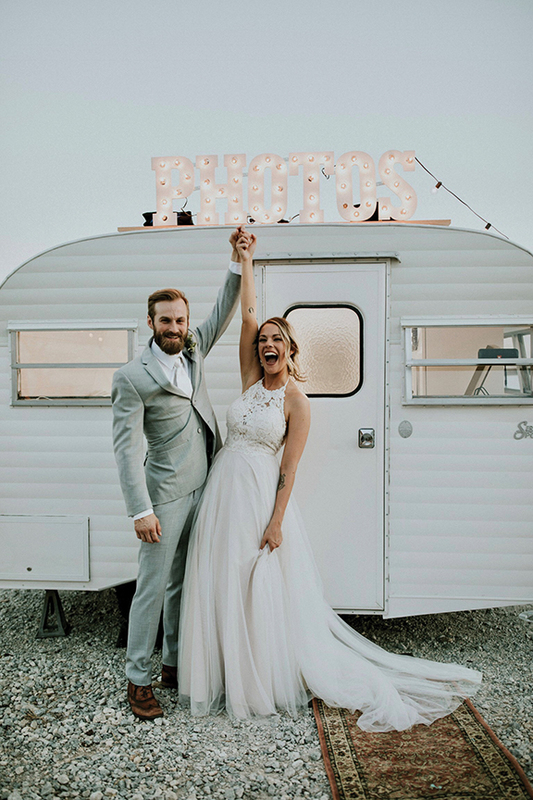 When she saw a vintage camper photo booth on Instagram she connected the dots between her love of weddings, photography and DIY. 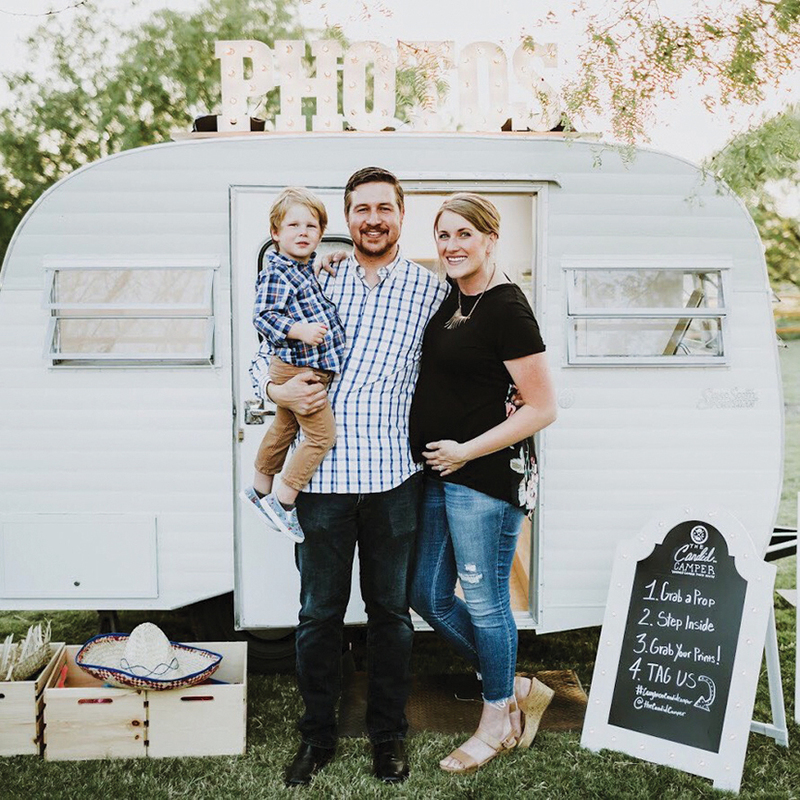 She took a screenshot of the camper and sent it to her husband Daniel and said, ‘this is what we’re doing.’ But the couple had just relocated to the Waco area, Daniel had just begun a new marketing business, and the two were parenting a very active toddler and expecting baby number two. So, it didn’t seem like the right time. The Gingeriches began to change their minds when they attended a launch party at a warehouse venue that included a restored Volkswagen bus photobooth. “That was confirmation that this was a thing,” Gingerich said. “In January, Daniel looked at me and said, I think we need to do this and I think we need to have it ready by wedding season,” she said. Shelbye admitted that the couple is no stranger to whirlwind life events. The two were engaged and married in 30 days. But taking on this project seemed like more than the couple could handle. Daniel assured his wife that they would make it through. 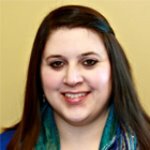 “By Jan. 27 we were legally a business, by Feb. 11 we had the camper and by April 22 we were at our first wedding,” she said. Daniel and his father worked tirelessly, often pulling all-nighters, renovating a vintage “Scotty” camper from frame to finish. With just hours to spare, the couple was able to deliver the camper to its first event to the cheers of those who had watched the weeks-long progress. Within a week of that first event, word spread quickly, and the couple received over 100 requests for the camper. Since the camper opened for business, they've had a steady flow of bookings and are accepting bookings well into next year. They offer customers three hours of photobooth fun with unlimited prints and a gallery of all the full-sized images. Shelbye, who has worked as a graphic designer, also uses her skills to create custom photo booth logos that match each wedding’s theme. And don’t worry about The Candid Camper clashing with your décor. Gingerich made sure to use design elements that would fit with any theme. For more information about The Candid Camper, visit www.thecandidcamper.com or check them out on Facebook or Instagram.